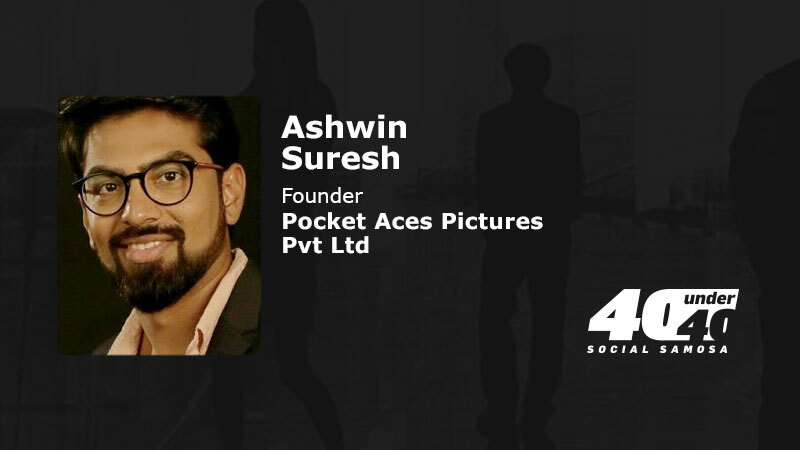 Ashwin Suresh, Founder, Pocket Aces and a winner of Social Samosa#40Under40 shares his take on disrupting the television and film industry through the digital ecosystem. Suresh has also proved his mettle as Creative Head at Junglee Pictures and at Reliance Entertainment Limited for developing a creative strategy. In this quick candid conversation, he shares his career choice, weirdest brief, #AllItTakes advice bytes for career aspirants and more. I like the fact that the television and film industry was ripe for disruption and hadn’t experienced a major change in over two decades. That gave us a chance to come and create a whole new digital content ecosystem with my company, Pocket Aces and our channels, FilterCopy, Dice Media, Loco, and Gobble. It gave us control over each of the processes from ideation, scripting, production, and distribution and the full-stack approach enabled us to generate viewership much larger than most TV channels and become the biggest digital entertainment company in India. I make really cool videos and put them up on Facebook, YouTube, Instagram, and Netflix for the world to see. People love these videos and they share it with all their friends and so more people watch it. I was once interviewing somebody for a production role and midway through the interview he offered to help me bribe certain executives (whose names I shall not take) at TV channels to get shows made! Needless to say, that interview ended within seconds. Relatable content, views, and engagement, web-series, daily-active-users, funding, and valuation. Just create. Then iterate. But always be authentic. And respect the data, but don’t get blinded by it. Everyone always tells you to learn from your mistakes but if you’re smart about it, I think you can learn even more from your successes than you ever can from your mistakes. Knowing what not to do is helpful, but knowing how to repeat success is the only way to be successful in the long-term.